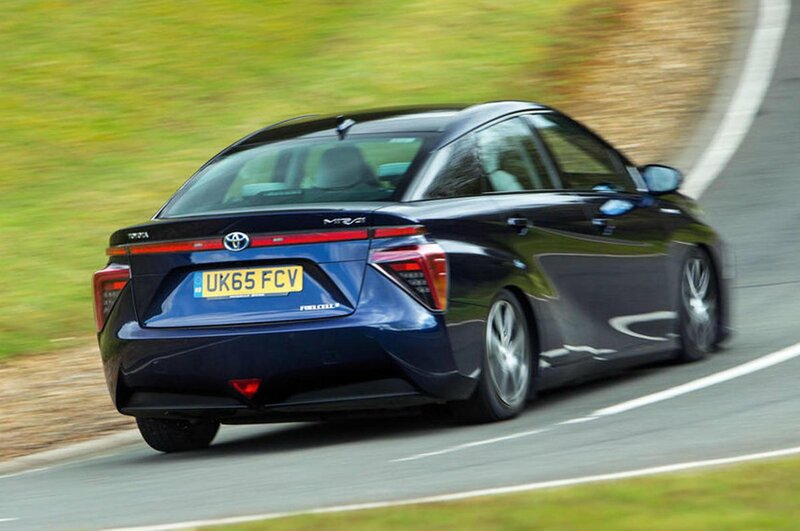 Toyota Mirai Performance, Engine, Ride, Handling | What Car? 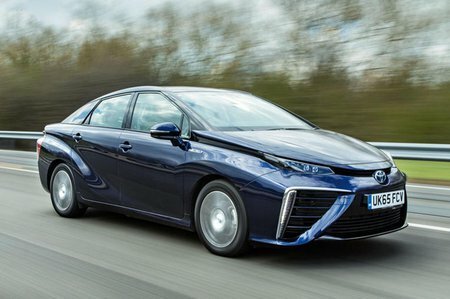 With the clever tech underneath the skin, you might worry that the Mirai will be complicated to drive. The good news is that it’s actually no different to a regular automatic or electric car. You simply push a button to turn it on, select drive on the gear selector, release the handbrake and you’re off. Like battery powered electric cars, there’s only one gear so progress is very smooth and it builds speed quickly up to about 30mph. Acceleration tails off after this but it still gets up to motorway speeds faster than many similarly sized diesel saloons. If you do put your foot down you get a distant whine from the motor along with some muffled gurgling from the fuel cell. Even so, it’s quiet with not too much wind or road noise. Comfort impresses, too. You feel expansion joints and potholes, but they are smoothed out effectively to make for relaxing progress. Go over a big crest or compression and it is quite floaty but never off-putting. Unsurprisingly, that means the handling isn’t what you’d call sharp. Pitch the car into a corner quickly and there’s lots of body lean although grip levels are high. The front tyres resist sliding wide well but we’d like a little bit more weight to the slightly vague steering. This vagueness means you have to make plenty of minor corrections to keep the car in its lane.